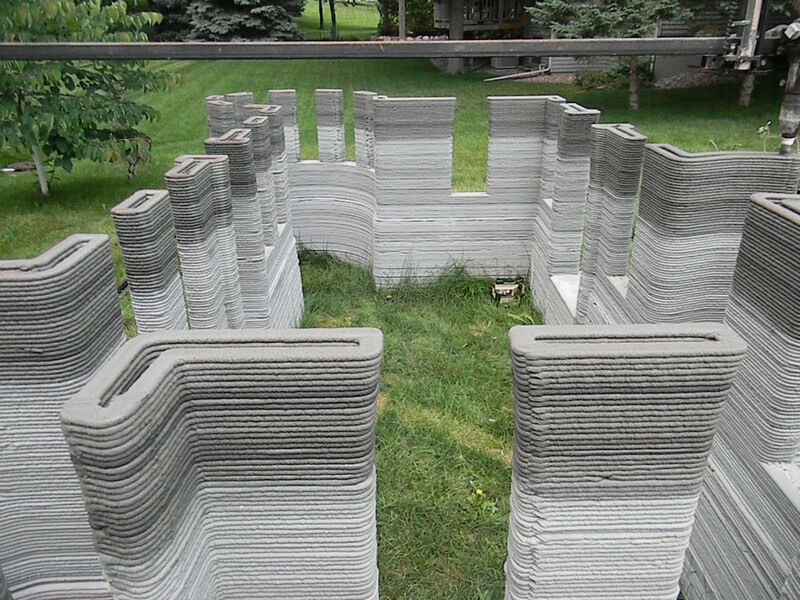 Minnesotan contractor Andrey Rudenko is now the king of his castle; his 3D-printed concrete castle, that is. 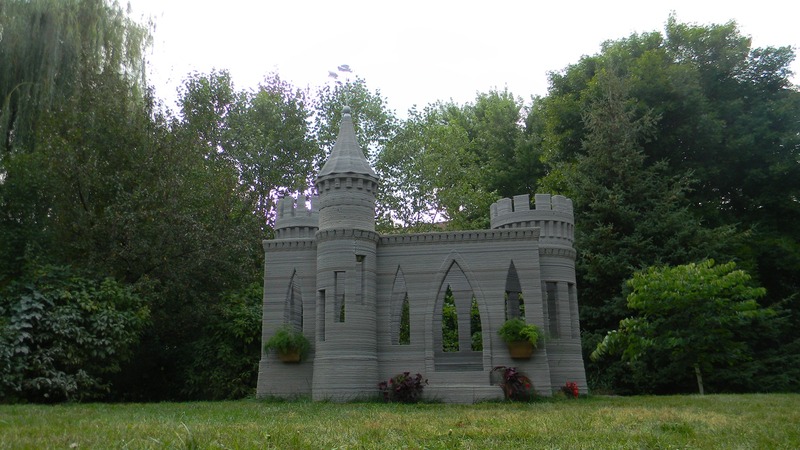 After completing a journey that took more than two years, Rudenko developed a customized 3D printer to extrude concrete and build a castle that he had designed himself. The entire structure is approximately 3 meters by 5 meters, which really makes it an amazing backyard fort rather than an actual livable structure. 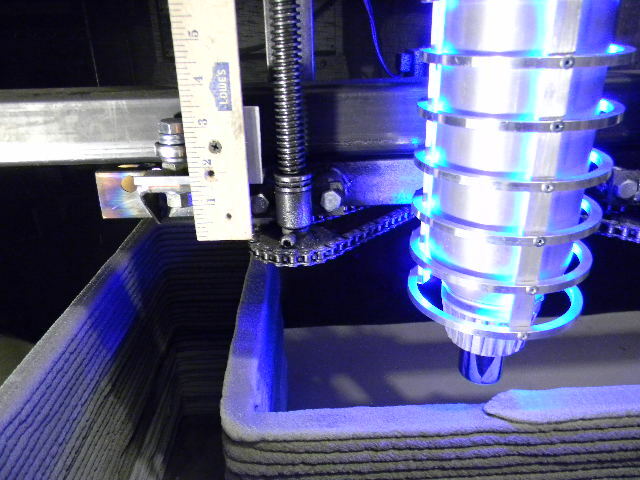 Extruding concrete to create 3D-printed buildings isn’t entirely novel. It has been proposed to quickly create inexpensive housing in poverty-stricken areas and even to build infrastructure on Mars before the arrival of astronauts. However, those buildings were designed to be fairly simple and lacked architectural details. Though it was really just a matter of time before a castle was created in this manner, it’s doubtful anyone expected it to come from Minnesota. As a machine capable of extruding concrete wasn’t commercially available, Rudenko had to develop his own. He also had to make a unique blend of concrete to suit his needs. While it does take longer than usual for the concrete to cure, it is incredibly viscous. This high viscosity allows for the walls to be smoother and eliminates the need for interior wall coverings—an advantage over some other 3D-printed concrete houses. The concrete was extruded in layers that were 3 cm wide and 1 cm thick. The device is easily able to alter those dimensions and accommodate different sizes, depending on the needs of the project. As with all concrete projects, reinforcements were placed when needed. The printer was able to create 50 centimeters of height on the walls in approximately eight hours, and it took 6 months to finish the castle’s construction. Now that Rudenko has proven that aesthetically-pleasing customized structures can be created with 3D printers, he’s hoping to scale up operations and create an actual livable medium-sized home. Rather than just create the walls for the building, he would be able to program his printer to create the frame for the staircase, leave spaces for plumbing and electrical wires, as well as decorative elements. He is asking that anyone interested in the project with experience in architecture, engineering, design, or construction to contact him and collaborate on taking this project to the next level. Unfortunately, his castle isn’t for sale. However, he is contemplating selling the castles on the side and integrating new designs.